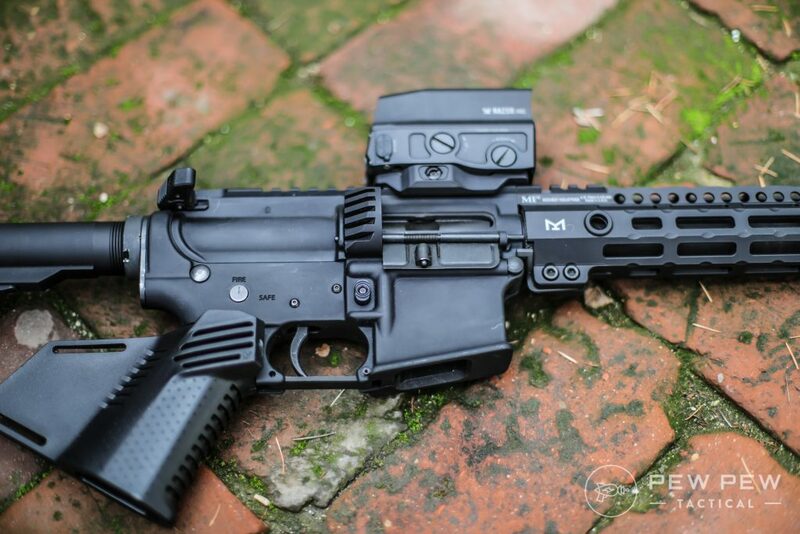 Looking for an out-of-the-box 9mm AR-15? Or a builders kit with all the important bits? Stag Arms has got you covered with their 9mm offerings. I had the chance to extensively test their 9mm Bones Kit which leaves out the furniture so you can add your own. I’ll cover everything from fit/feel to accuracy, shootability, bang-for-the-buckness, and more. Pistol caliber carbines (PCC) are all the rage since you can use them for competition and home-defense. You get all the ergonomics of an AR-15 but the ability to use handgun ammo (9mm in this case) and handgun magazines (this one uses Colt or Tavor pattern mags…others use Glock). The gas system is different than the standard direct impingement of the AR-15 with a gas tube. In the 9mm case it uses blowback so no gas tube is needed. Stag offers the “Bones” kit where you can add your own furniture. Or it also has the Builders Set which leaves out the barrel and buffer tube assembly. 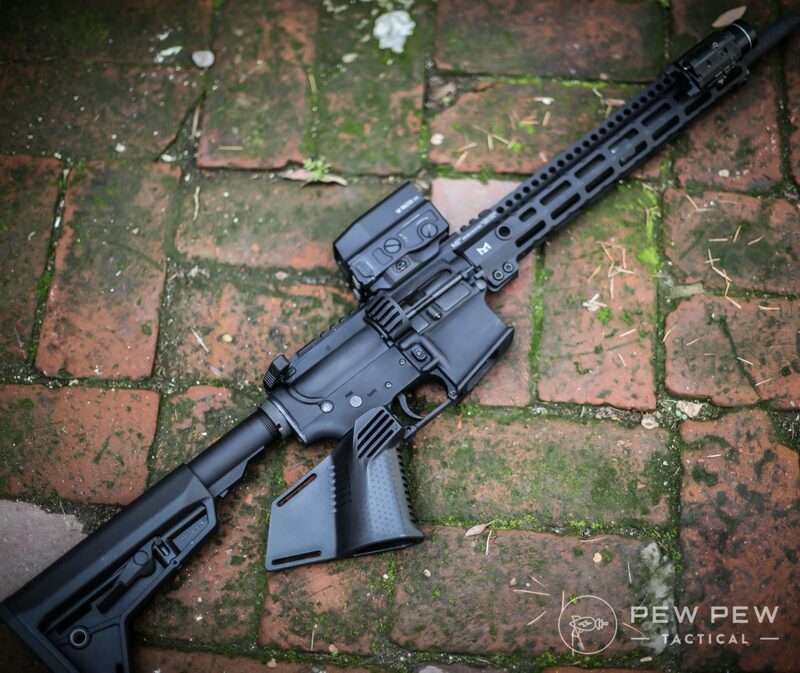 And finally…complete rifles that also have options for some restricted states. Disclaimer: Stag sent me the Bones kit for an unbiased review. 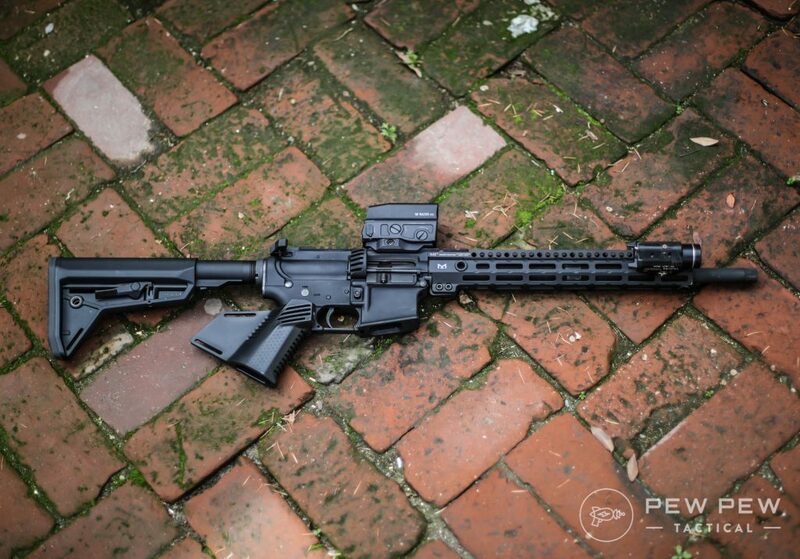 You’re looking for a self-defense firearm with the accuracy and ergonomics of an AR-15 rifle but in a pistol caliber. Most likely less unwanted penetration and ear damage from a PCC. 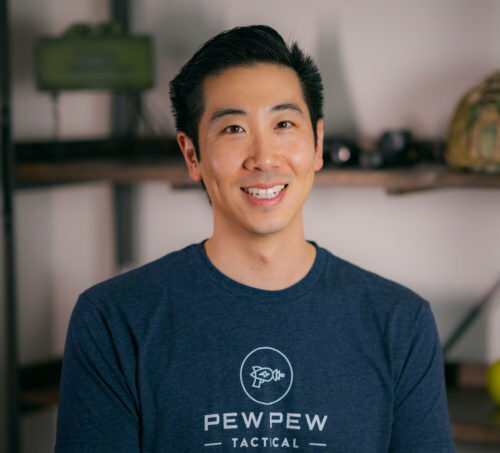 You’re wanting to compete in pistol caliber competitions. 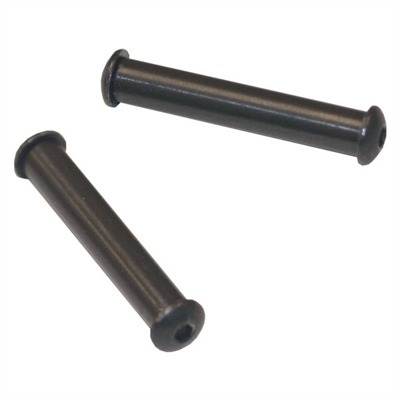 You’re wanting to make your 9mm AR-15 your own with Bones or Builders Sets. The bones kit I got was pretty bare but everything was as it should have been…properly coated and ready for me to do my thing in dressing it up. I wiped everything I could and oiled some parts up and it immediately felt better…even with the 7-lb mil-spec trigger. The great thing is that it’s completely built around being a 9mm. From the magazine well to the 9mm shell deflector…no inserts or shims for this bad boy. 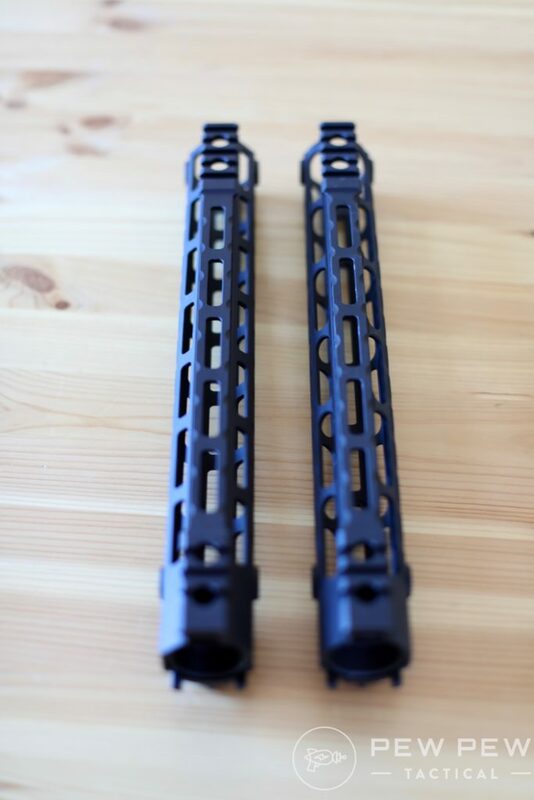 One thing that makes me not recommend the Bones model specifically to new builders is that because the barrel is already attached…you’re stuck using handguards specifically for the barrel nut. I’m not even sure which ones will work since the barrel nuts on Stag’s handguards look different. Since I wanted to use my Midwest Industries (one of my favorites from Best AR-15 Handguards), I had to remove the barrel nut and reinstall. Take it from me…the barrel nut is very well installed from the factory! 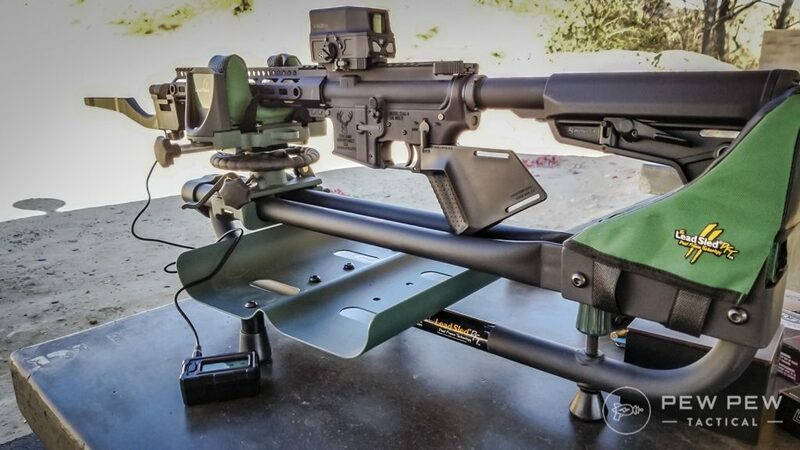 Make your rifle your own with all our AR-15 upgrade suggestions in our AR Definitive Resources. One thing you’ll quickly feel is that 9mm is actually more violent shooting than .223 or 5.56…that blowback system really moves that bolt back at you! Once you get used to it…it’s still mild and controllable (I’d say halfway between a 5.56 and an AK 7.62×39 round). I just thought 9mm would be like a peashooter in a 16″ barrel. However…I still found out the hard way that I needed anti-walk pins for my drop-in trigger otherwise the recoil was shaking the pins out. When I shot my down-loaded 9mm 147 gr rounds that I normally used for USPA in my 9mm 1911…that’s when the Stag really grew into its own. Super soft shooting…to the point where people thought it was suppressed. Another thing to note is that the Stag 9mm takes Colt or Tavor stick mags. If you’re shooting 10 rounders they are pretty short so it’s hard to reload. I also couldn’t get a fully loaded mag into a closed bolt for the life of me…so during competitions it became empty mags before dropping. The good thing is that it IS a last round bolt hold open (LRBHO) system. I shot a couple of my favorite 9mm ammo (Best 9mm Ammo for Self-Defense & Range) at 25 yards using a 1x optic. I used the Rise Armament trigger which definitely made a difference compared to the mil-spec one. All very acceptable for 9mm and it seems the Blazer takes the slight lead in accuracy. 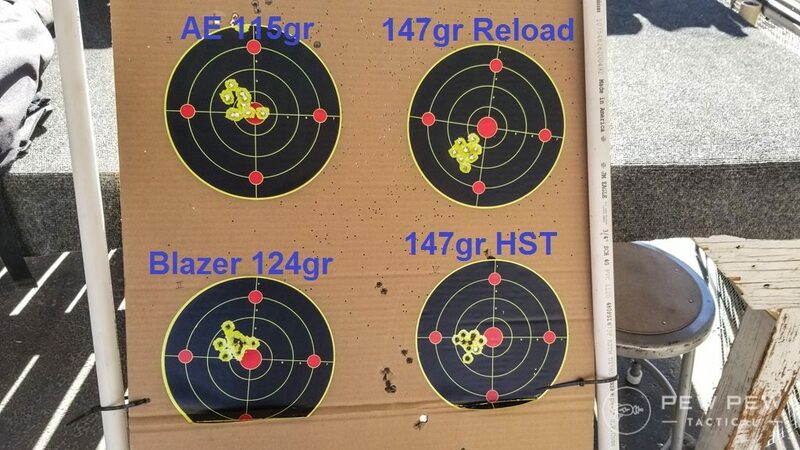 The self-defense Federal 147gr HST also ran flawlessly. The Stag ran as well as it could with what I consider not the greatest magazines. When there was a jam…it was because something got hung up in the magazine and I could hear loose rounds. Also if the magazine’s spring is not still very strong…you’ll run into bolt-hold-open issues. Learned this the hard way with a buddy’s 20-round stick that was a little past its lifespan. It ate all the kinds of rounds I threw at it…from plinking light 9mm to heavy bullet reloads and even hollow points. 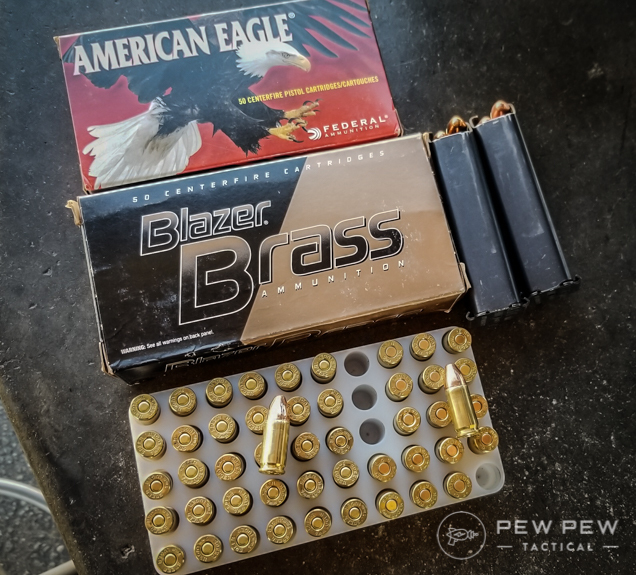 If you’re able to use 32-round stick mags…you’re probably in the clear. If you’re doing a 10-round pistol caliber carbine (PCC) you might be at a disadvantage for not being able to load 10+1 or tactical reloading between strings of fire. Rocking the Stag Arms 9mm AR-15 at another night shoot. This time with lasers! Review coming up today on www.pewpewtactical.com! . Follow @pewpewtactical for more! Problems arose from magazines…make sure they are clean and that you properly maintain the springs. Does its job well for 9mm with a variety of plinking, competition, and self-defense ammo. Really depends on you if you go the Bones or Builders route…but I also had the chance to try out their full rifles at SHOT Show 2018…and I really like their new super slim handguard. The 9mm shell deflector does its job but I think looks a little ugly. It’s an AR-15 so it’s completely up to your imagination. The Bones kit at slightly over $900 is expensive…but their full rifles start at $775 for basic furniture and $999 for the PCF SL with free-float handguard and slim buttstock. Or opt for the Builders Set at $525 and pick up a barrel at Faxon. 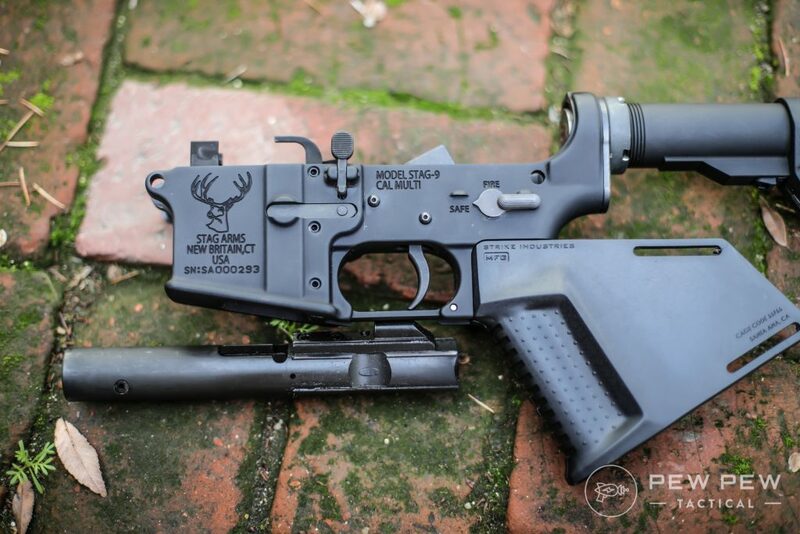 The Stag Bones kit was a great entry into PCC for me. For me…the Bones kit was a little too expensive for what you get and you also have to deal with removing the barrel most likely. But I would wholly recommend their complete rifles. 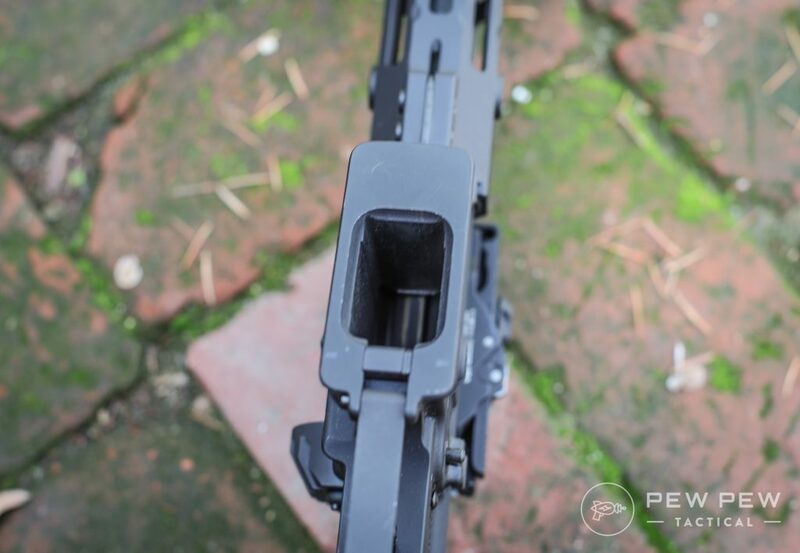 With the full rifles you get the slim handguard which felt great…and if you have the urge to build out completely…you have the option of the Builders Set. You’ll still have to be ok with using Colt/Tavor mags. Plus the positive of having last-round-bolt-hold-open but the negative of not being able to insert a fresh mag into a closed bolt. Many of its competitors out there are the opposite…no LRBHO but ability to insert a mag into the closed bolt. So it’s really up to what you value more. But I would still recommend the Stag 9mm as a great base PCC.